The death toll from Taiwan's massive earthquake has risen to nine, officials say, as rescuers race against the clock to reach trapped survivors. According to the rescue authorities, 265 people are injured and 62 remain missing so far, reported Xinhua. Among the deceased, three were from mainland China, while the rest were Taiwanese. Two bodies were pulled out from the damaged Yun Men Tusi Ti building in the early hours of Thursday. A female tourist from Fujian Province in China, who was rescued from the same building, was declared brought dead when authorities shifted her to a local hospital. 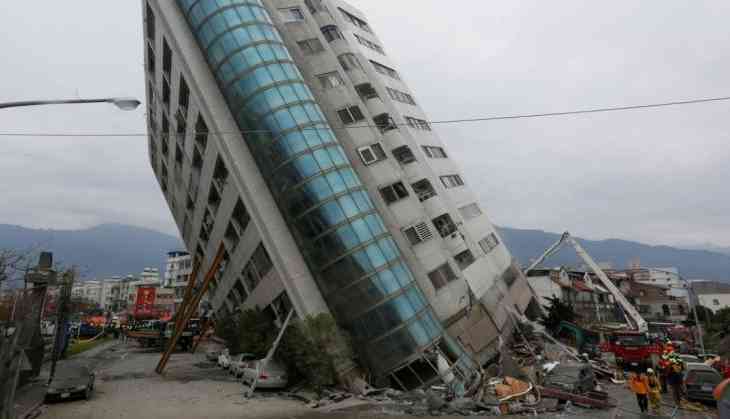 The quake hit the island nation 11:50 pm (local time) (3.50pm GMT) on Tuesday, around 21 kilometres, northeast of the port city of Hualien, according to the United States Geological Survey (USGS). It was the most severe earthquake to hit Hualien in the last five decades, according to Fu Kun-Chi, the head of Hualien County. More than 200 aftershocks have been reported ever since. On February 6, 2016, an earthquake with a magnitude of 6.4 had struck 28 km northeast of Pingtung city in southern Taiwan, killing 117 people and injuring more than 550 people.